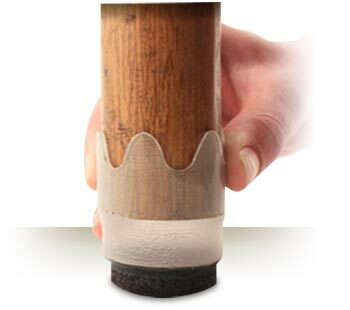 Stretchable Furniture Boots Protect Floors From Scratches & Scuffs! Order Now! 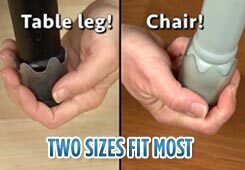 Round, square, fat, skinny, metal or wood legs — Furniture Feet™ fit right and stay tight! Even heavy couches and chairs will move like they're floating on air! 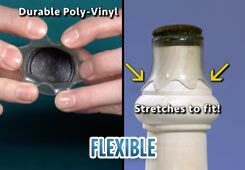 Durable poly-vinyl stretches like elastic to slip over all shapes and sizes of chair and furniture legs. Transparent sleeve protects chair legs from damage and matches any style decor. 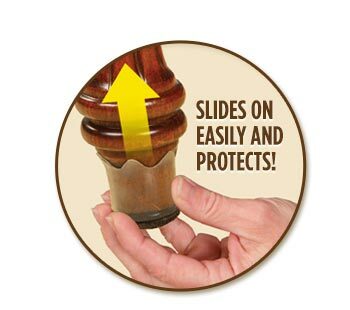 Two sizes slip on the legs of virtually any stool, table leg or chair to protect floors and stop noise. 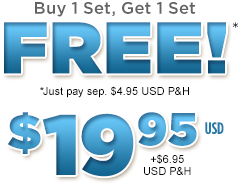 Pay just $4.95 USD processing & handling for the 2nd FREE Furniture Feet Set! Today when you order you'll receive a set of 8 Small and 8 Large Furniture Feet™ for only $19.95 USD plus $6.95 USD P&H. 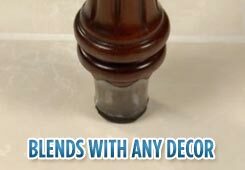 We'll also double the offer and you'll receive a second set of 8 Small and 8 Large Furniture Feet™ for FREE, just pay the separate $4.95 USD P&H. We'll also include a FREE BONUS 6 piece Furniture Fix™ Pen Set with your order! ©2019 Furniture Feet™ All Rights Reserved.